A Selective Bibliography (Chiefly Of Shorter Pieces) For The Enthusiast. 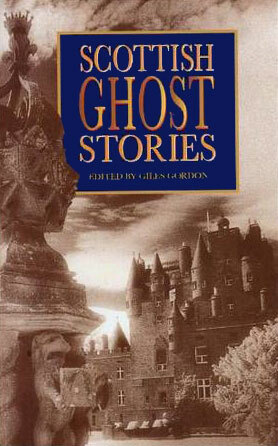 Cover shown is the Lomond edition. Thanks to Steve Goodwin for providing info on the early publishing history. Thanks to PeterC of Vault for the details. 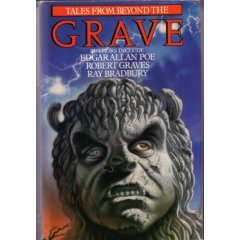 In The Gruesome Book, Ramsey Campbell castigates horror collections aimed at children which find it necessary to talk down to them. Having read three stories from Spectre 3, I shouldn’t think Davis’s was one of the books he had in mind. Even Chetwynd-Hayes dispenses with the badly dated, often tiresome humour that became something of an albatross in favour of a straight horror story. The Blackwood, RCH and Joyce Marsh offerings have appeared in adult collections and Tim Stout’s hefty slab of Grand Guignol would have been ideal for the Fontana Horror series. Tim Stout – Heritage: Greenville, Alabama. Calvin E. Danby has the recently excavated dungeon of the family castle brought over from England and reconstructed brick by brick with pride of place going to the carving of an enormous, evil-looking wolf. When ‘big blonde’ Sadie Zellaby is seemingly clawed by the carving, Danby researches his family history and learns of an unfaithful wife hacked to pieces with an axe, a torture spree, various mutilations and the grim fate of the worst of his ancestors, mad Sir Hubert, who fought with a double-headed axe and was eventually crushed to death. David Campton – I’m Sorry, Mrs. Baxter: Bored teenagers from the estate hang around the Co-op in the High Street. They spend much of their time mithering passers by, one of whom happens to be Mrs. Baxter, a virtual mummy so wrapped up as to be indiscernible beneath her clothes. As Stew, Wally, Pete and the narrator jostle her, the old girl’s shopping spills onto the pavement and she suffers a heart attack. One by one the thugs are punished … by her clothes. There’s a brilliant cameo by a blue and white football scarf which wraps itself around one lad’s head just as he’s crossing a busy road. Tim Stout – The Hand From Haunted Hollow: Disillusioned schoolmaster breaks down (carwise) in the midst of Savernake forest- his rescuer, a woman “ninety at least” makes him a gift of a hand painted jigsaw version of the idyll in which he’s lost. “The cemetery’s image buckled and crumbled, wrenched apart by something that was tearing it’s way up from within”…. Reynolds is “lucky” enough to engage the sevices of the “Director”, who ensures that havoc and panic reign during little Valerie’s party. His coup de grace literally belittles Mr. and Mrs. Reynolds, and made me realise why I’ve always had an aversion to blackcurrant flavoured jelly. Joyce Marsh – The Shepherd’s Dog: If you can read this without shedding a tear then you must be made of stone. A “Grayfriers Bobby” type tale, written with Marsh’s usual accuarate sense of place and person- an absolute heat breaker. Elizabeth Fawcett – Ghosts Look Like People: I wasn’t keen on this one- it’s a bit Scooby Do. Although that’s me reading it as an adult- it’s not really fair to comment as the books were meant for kids. Can you believe these books were compiled for kids?! Gladys Greenaway – A Matter Of Timing: …reminds me of “The Woman In The Green Dress” by Joyce Marsh. Thanks to Victoria for posting the details and plot outlines. Thanks to Rog Pile for the cover scan. A. J. Alan – H2, Etc. Despite that inexcusable dip in the middle, an enterprising selection. Something I adore about these are the little plot outlines against each story on the contents pages. To prove that Man has a soul – that was Mr. Kempe’s terrifying problem. And there was danger for the stranger on the cliffside where he lived. The frightful ordeal of a man at the mercy of an iron-tongued monster in a belfry. Kim Newman – Is There Anybody There?